Nonstarch polysaccharide (NSP) and phytase enzyme use in animal feeds has been around for about 30 years now. For that time, the chemical nature of the compounds found in feedstuffs has been studied and provided the basis to create new enzyme products, specific for individual substrates found in the feed. The current developments in enzyme technology provide for the mass production of cost efficient enzyme preparations designed for use in the industrial animal feed formulation. The application of enzymes in feed industry led to lowering the FCR (feed conversion ratio) from 3.2 (1970) to the amazing 2.15 for pigs and from 2.4 (1980) to 1.76 (2012) for poultry. Enzymes are made up of long amino acid chains folded in a specific pattern to create a unique three-dimensional structure. This structure establishes the catalytic capabilities of an enzyme and is held up by multiple weak chemical interactions within the amino acid chain itself. Most of these interactions can be broken by high temperature or chemical agents, which leads to the unfolding (denaturation) of the protein. In most cases, this causes a loss of activity (inactivation) and renders an enzyme preparation useless. 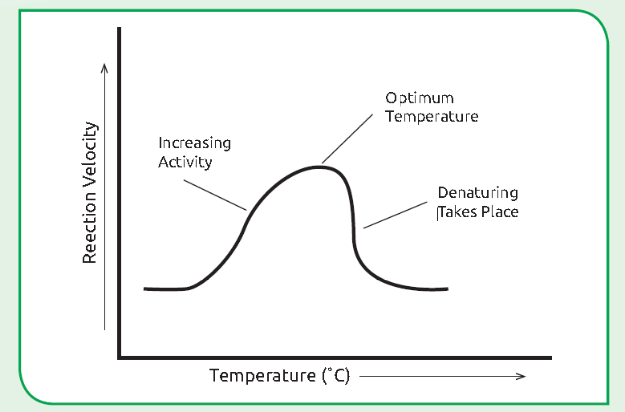 Denaturation usually happens at temperatures above a certain threshold, specific for the organism that provided the enzyme preparation. In recent years, feed pelleting has been gathering more and more traction, due to the numerous studies showing this method of preparing feed to be superior to the previously used mash feeds, with regards to both convenience for the farmers and increased animal performance. However, this process includes a step known as “feed conditioning”; this requires the feed mash to be subjected to high temperature steam in order to prepare it for the pellet molding itself. During this process, the temperatures involved can range from 65°C to as high as 95°C. Most commonly employed enzyme preparations can withstand to some extent temperatures of 80°C. Because of this, preparations derived from heat-resistant microorganisms are very valuable for the feed industry, due to their ability to function properly at extremely high temperatures. Thus, this is the first natural solution to the problem of high temperatures that an enzyme faces during the feed processing. For example, VemoZyme F NTP is intrinsically (naturally) thermostable phytase enzyme that withstands temperature even up to 95°C. It is thermostable by its nature. Another approach to increasing enzyme thermostability is to put a “coating” around the enzyme. Coated enzyme preparations can easily withstand the pelleting process, however they are more complicated to produce and the preparation quality is very dependant of the coating quality. Coated enzyme preparations are known to show a slower release kinetics within the animal gut, by contrast the naturally thermostable enzymes start working immediately after ingesting. There is a third option to go around the high temperatures involved with the feed pelleting process. For instance, the liquid enzyme preparations are added after the pelleting process is complete (i.e. after the high temperature stage), however they require additional processing steps and also require specific equipment to add them to the feed pellets. Another disadvantage is the inconsistent enzyme distribution within the feed, which in turn decreases the effectiveness of the product. 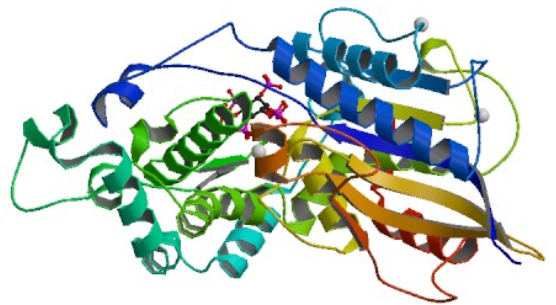 Why intrinsically (naturally) thermostable phytase enzymes (not coated) do not need coating? The coating of enzymes serves a dual purpose – one is to increase the enzymes` thermostability, while the other is to protect the enzyme from the harsh acidic environment in the stomach. The coating is designed to disintegrate and release the enzyme in the duodenum, where the pH is neutral to alkaline. These enzymes are usually not thermostable enough (generally they can withstand temperatures up to 60°C), and are also sensitive to extreme pH values of the environment. The coating itself is a layer of lipids, waxes, fatty acids, or even plastic (Phthalates) that coats tiny enzyme clusters (small spheres of agglomerated enzyme). • The purpose of the coating is to protect the enzymes inside these spheres from being denatured in the highly acidic environment in the digestive tract, namely the stomach. • The enteric coating is designed to be resistant to low pH and dissolve in high pH (basic) environments such as the intestine. • The coating also provides for an increased thermostability – such preparations can withstand temperatures of 95°C. Such thermostability is achieved through the “locking” of the three-dimensional structure of the enzyme by binding it to the coating. This is all well and good, however there is another issue – the enzyme has to be released at a certain point in the digestive tract and this has to happen quite fast. Usually the retention time of food in the animal`s digestive system is limited to just about 4 - 8 hours for poultry (with 2 – 3 hours within the small intestine where enzyme action occurs and is most effective) and for pigs this time is longer by 1 – 2 hours. An important point to make is that feed enzymes show highest effect per unit of activity in the small intestine, however feed retention rates within this section of the digestive system are in the region of 2 – 5 hours. For coated enzyme preparations this can cause problems because they need time to break out of the coating and start working – this can take as long as 1 hour to release enzyme with high enough concentration to be relevant. Also because of the nature of the coating – its binding to the enzyme`s structure can interfere with the catalytic function of the enzyme. The coating itself also poses questions, and most concern comes from the potential active ingredient in the coating: plastics (Phthalates). As mentioned earlier, ingredients of enteric coating range from fatty acids, lipids, and plastics (Phthalates). The prominent argument that comes to mind is that consuming plastics is unhealthy… even for animals. On the other hand, there are also non-coated enzyme preparations ––available on the market. One of their main advantages over their coated counter parts is that they start acting on their substrates immediately after digesting, thus dramatically increase their active time and show better effect per unit enzyme activity. These enzymes also are usually of fungal origin, which due to the nature of fungal proteins, are not common substrate for the innate proteases, found in the animal digestive system. This in turn also provides for a higher and prolonged activity within the animal gut when compared to the coated enzymes. The current developments in the fields of molecular biology, biotechnology and protein fusion technology has led to the development of much better, easier to produce and robust naturally thermostable enzyme preparations, like VemoZyme F NTP. They do not possess any of the drawbacks that were displayed by their older versions. These enzymes start working almost immediately after digestion – hence there is no dissolution kinetics involved, they are thermostable up to and in excess of 90°C, they are very resilient to the acidity of the environment and possess a wide pH range enabling them to remain active throughout the animal`s digestive system.